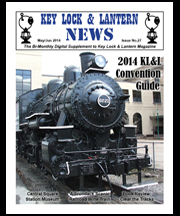 The 2019 Key, Lock & Lantern Convention will be held from Friday, May 3rd through Sunday, May 5th at the Radisson Lackawanna Station Hotel in the former DL&W train station in downtown Scranton, PA. Activities include an excursion on the route of the Laurel Line trolley, Transportation History Exposition, railroadiana fundraiser sale, a banquet with railroad history presentations, visits to Steamtown and the Electric City Trolley Museum, and plenty of time to meet with fellow collectors and transportation history buffs. 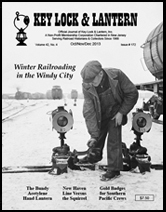 All railroad enthusiasts are invited to attend. Join us for an enjoyable weekend! Come for the Day to the Transportation History Exposition!!! Hotel Reservations are now open at the convention headquarters Radisson Lackawanna Station Hotel, with a special KL&L rate of $135 per night plus tax. A limited block of rooms is available at this rate, so make your reservations early. 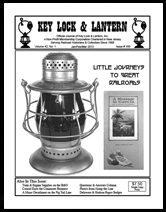 Call the hotel at 570-342-8300 or 866-715-7836 and ask for the Key Lock & Lantern rate. 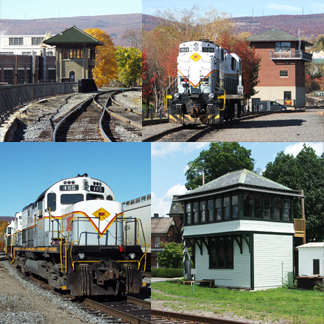 Arrive early to check out the historic Alco Locomotives on the D-L Railroad, visit Steamtown, the Electric City Trolley Museum, and the Marketplace at Steamtown. 10:00am - Open schedule for attendees to visit Steamtown, the Electric City Trolley Museum, and other local historic sites. 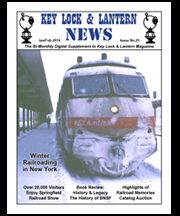 3:00pm - Chartered KL&L trolley excursion departs from the Electric City Trolley Museum platform at Steamtown for a two hour trip on the former Laurel Line. Several photo stops will be made enroute, weather permitting. 8:00am - Setup & early admission for registered members to the Transportation History Expo. 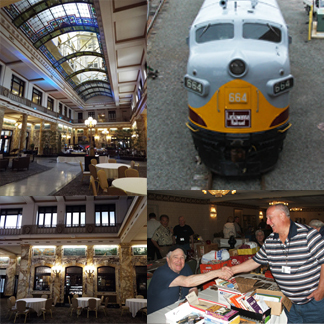 9:00am - Transportation History Exposition at the Radisson Lackawanna Station Hotel banquet hall opens to visitors. 12:00pm - Box lunches served to table holders. Hotel restaurants open for other attendees. 2:30pm - Transportation History Expo exhibits close. Exhibits must be removed by 3:00pm. 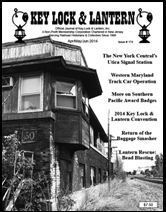 5:00pm - KL&L Annual Banquet - cocktail hour followed by dinner served at 6:00pm in the Platform Lounge. 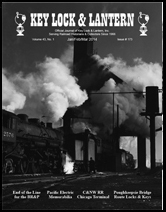 7:00pm - Railroad history programs in the Platform Lounge. 9:00am - Informal breakfast with other KL&L members at the hotel. 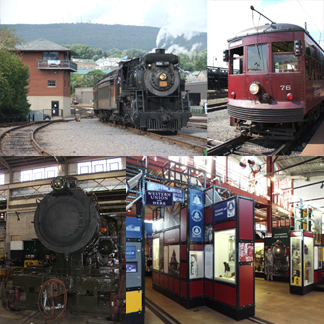 11:00am - Open schedule to visit Steamtown, the Electric City Trolley Museum, and to explore local railroad operations and historic sites. Visit the Transportation History Exposition!!! Please See Convention Policies on Registration Page. 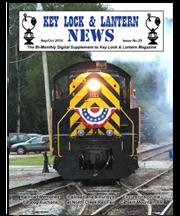 Key, Lock & Lantern holds its annual meeting and convention each year in the northeast, where the group's first railroadiana swap meet was held in 1973. 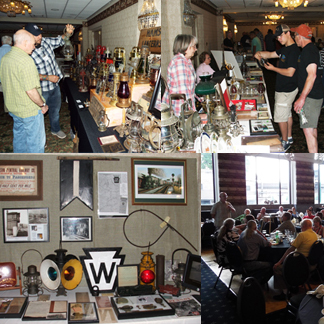 The KL&L Convention is different from railroad hobby shows, as it is a smaller gathering of serious historians and collectors, where sharing knowledge is equally as important as trading memorabilia. While a fair amount of railroadiana changes hands at the swap meet and auction, the most valuable aspects of the convention are the educational and networking opportunities. Photos of recent conventions are posted on our Facebook Page & Flickr Page.